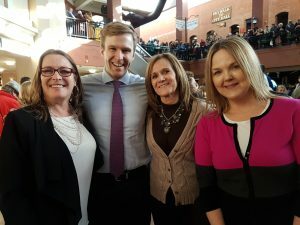 Justin Trudeau Town Hall in Saint John – CCRW was there! 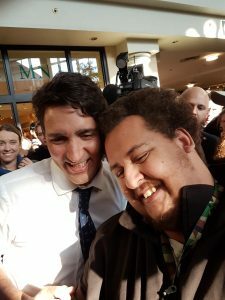 Cody, a CCRW client was thrilled to get a selfie with our Prime Minister as he travels across the country holding town halls for Canadians to be heard. Also joining in the day was (from left to right) Maureen Haan, President & CEO of CCRW; Brian Gallant, Premier of New Brunswick; Jo-Anne Mowry, Employment Outreach Specialist and Misti Denton, Employment Coordinator at the CCRW Saint John office.